Today I thought I would do a little product review and comparison. First up are the new wood dots -- woodgrain enamel dots from Studio Calico and wood veneer dots from My Mind's Eye (Just Splendid line). Here are a couple of close ups. You can see the My Mind's Eye wood veneer dots are real wood. 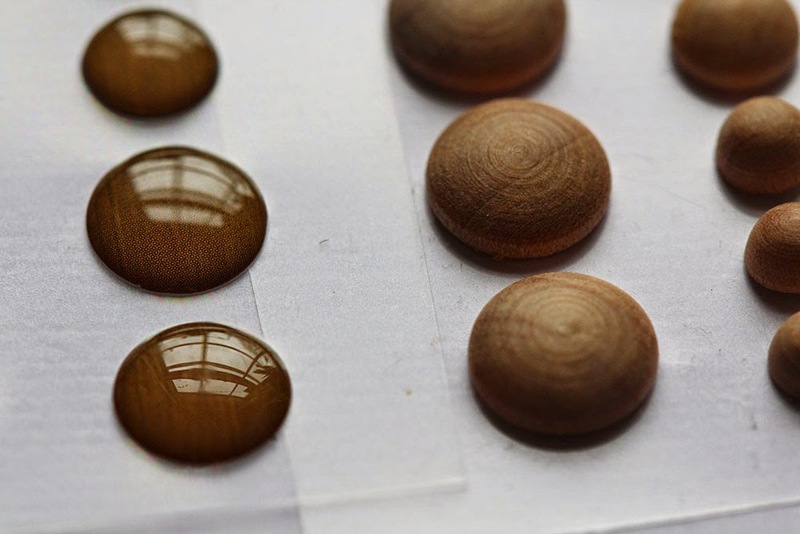 The enamel dots from Studio Calico have a nice woodgrain pattern under the epoxy. I love that each set are such different colours and finish... makes it very necessary to have both sets, just in case one colour suits your project better than the other! Some great Jenni Bowlin Studio products. These insta-frames are very cool... I love that they are plain in the center but have a frame print burned into the edges. I think they'll be perfect with a little journalling block, short title, or embellishment cluster placed on top, don't you? And my inner science geek who misses her old life very much sometimes, fell so SO hard for those Jenni Bowlin Studio chalkboard flair. Perfection, as far as I'm concerned. 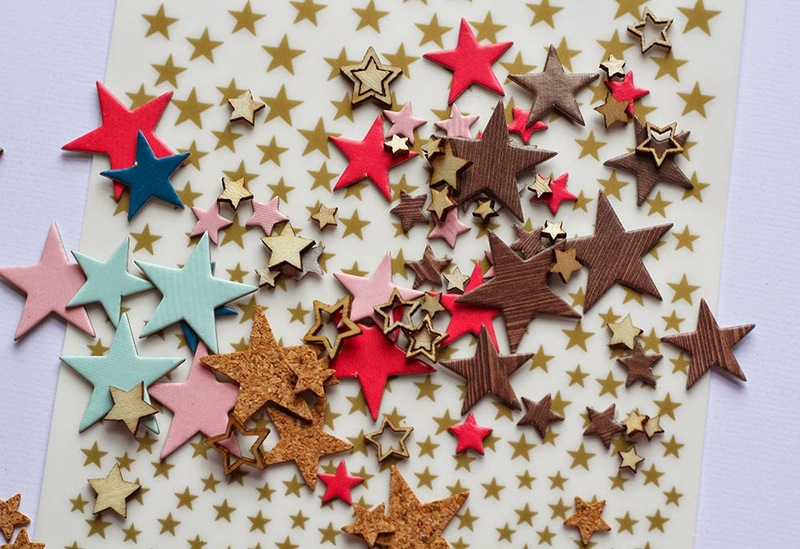 Stars, and hearts -- oh, my! Chipboard and wood, and rub-ons -- oh, my! What have you bought recently that you love? Or have you found something in your stash that you've fallen in love with all over again? Ohhhhhhh myyy those Jenni Bowlin frames! I want so bad. 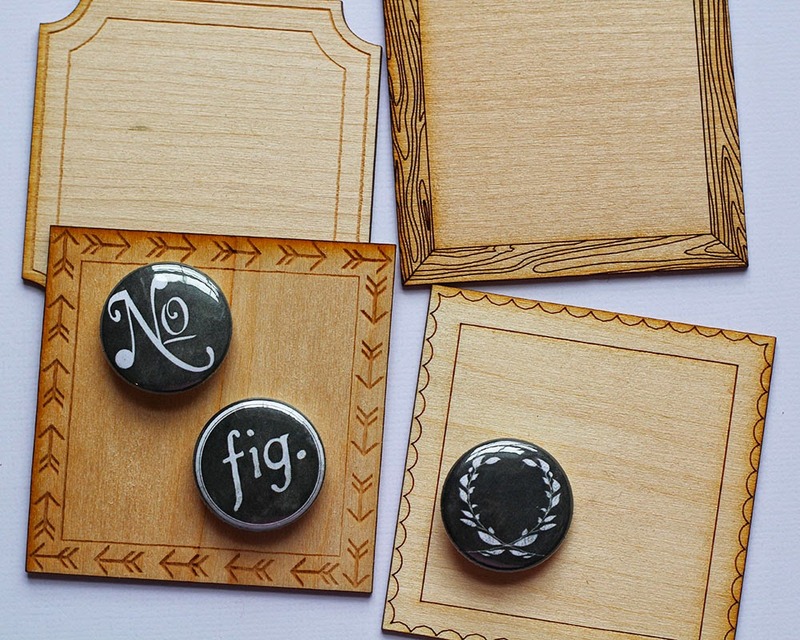 I have and love the MME wood enamel dots, love that they're actual wood. Your blog looks fabulous!!! I really like the clean, crisp look - so pretty! I love the flowers and headings - so pretty! 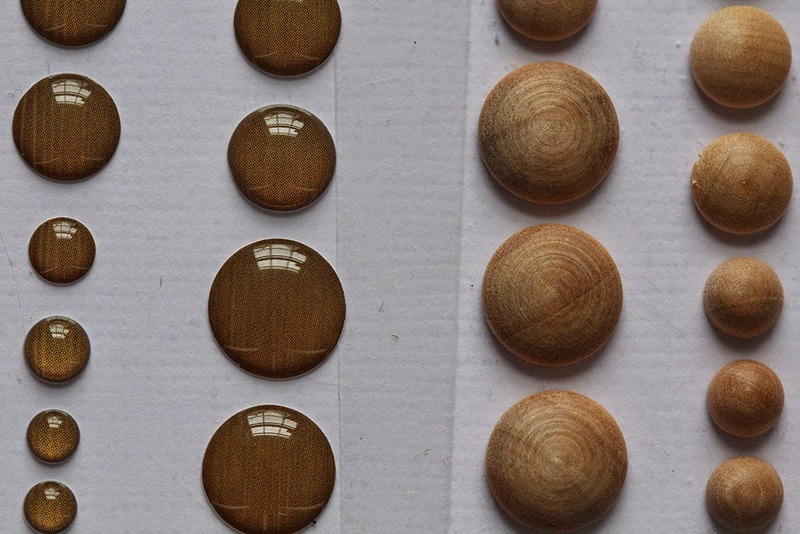 The wood veneer dots are so cool-looking! My latest purchase arrived today from Freckled Fawn -- paper clip words and calendar tape. oh stunning! the colors of course, are GORGEOUS!